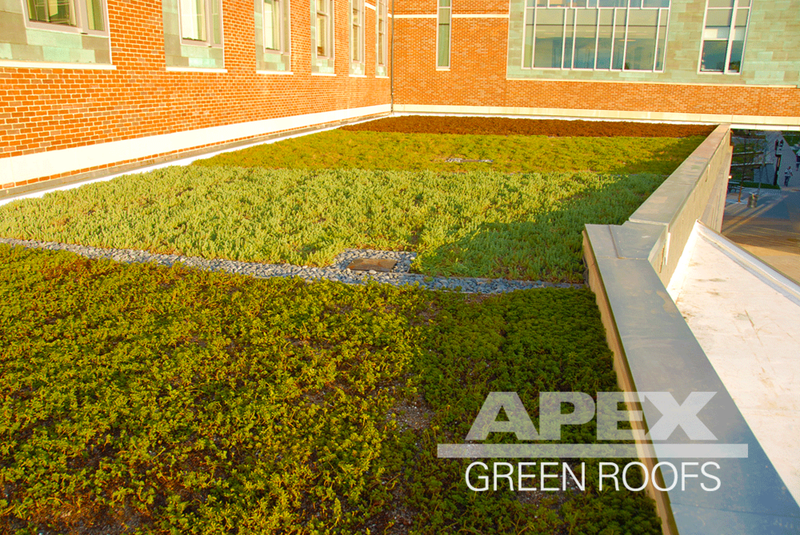 This green roof was Apex Green Roofs first installation of a pre-grown modular green roof system. Delineated by ornamental stone runnels, this green roof is designed to highlight the contrasts in sedum species throughout the year. Although striking, monocultures tend as are present at Salem State introduce increased maintenance costs and greater potential disease.